What should you do if your child complains about a toothache? Before calling our office, try first to learn what you can about the toothache. You should first ask them where exactly the pain is coming from — one particular tooth or a generalized, dull ache. Also try to find out, as best they can tell you, when they first noticed the pain. Try then to look at the tooth or area where they indicate the pain is coming from: since tooth decay is a prime cause for tooth pain, you should look for any obvious signs of it like brown spots or cavities. You should also look at the gums around the teeth for any redness or swelling, a sign of an abscess or periodontal (gum) disease. If you notice any of these signs, the pain persists for more than a day, or it has kept the child awake during the night, you should have us examine them as soon as possible. If you notice facial swelling or they’re running a fever, please call and we will see them immediately. 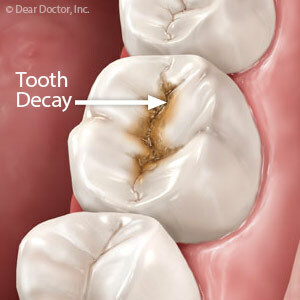 If it’s definitely tooth decay, it won’t go away on its own. 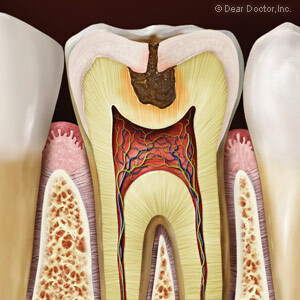 The longer we wait to treat it, the worse its effects in the mouth. In the meantime, you should also try to alleviate the pain as best you can. If when looking in the mouth you noticed food debris (like a piece of hard candy) wedged between the teeth, try to gently remove it with dental floss. Give them ibuprofen or acetaminophen in an appropriate dosage for their age to relieve pain, or apply an ice pack on and off for about 5 minutes at a time to the outside of their jaw. If any of these remedies stops the pain within an hour, you can wait until the next day to call for an appointment. If the pain persists, though, then an abscess could be developing — you should call that day to see us. Regardless of when the pain stops, or whether you see any abnormal signs, it’s still important your child see us for an accurate diagnosis. Their toothache maybe trying to tell you something’s wrong — and the earlier a problem is found and treated, the better the outcome.